17. KENDRICK LAMAR | Untitled. Unmastered. What a year for Anderson .Paak. After making guest appearances on Dr. Dre’s 2015 surprise comeback, .Paak dropped Malibu in early 2016 and has been riding the wave all year long. In fact, since the album’s release, .Paak has shown up on records from Kaytranada, Tribe Called Quest and even dropped another project, NxWorries, with Knxwledge. Weaving together classic R&B sounds, neo-soul funk, and the year’s unlikely trend of gospel, .Paak has delivered one of the most universal sounding records of the year. One that never fits into one specific groove and somehow finds itself stretching across genres in new and inventive ways with each listen. There wasn’t a smash single here, but the record doesn’t need it. Each track slowly warps and flows into the next, highlighting the importance of the record as something itself. These tracks aren’t isolated treats, but rather part of the greater good. When listened in full, Malibu is untouchable in terms of appeal and accessibility. Live, this is a whole new story. Watching .Paak run across the stage to get his hands on every instrument available is a dream and seeing him slay the drums gives a whole new life to these songs. His energy is impeccable and his desire to thrill the crowd is refreshing and exhilarating. 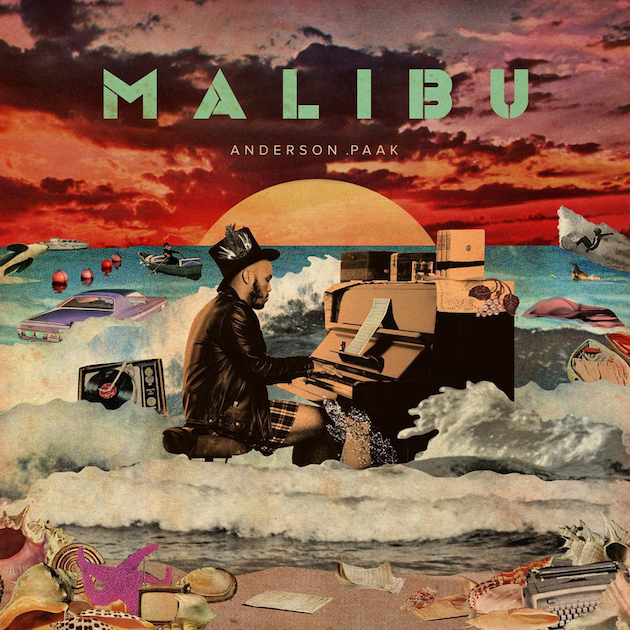 Malibu charts the rise of .Paak from the roughness of Compton and being a latch-key kid that relies on that TV connection through his love affairs and becoming a parent. It’s an expose on how life can surprise you and come at you from nowhere. It’s the feel-good record of the year in a time when nothing seemed to go right. In these divided times, this is a record that unifies the crowd and finds the light in times of darkness. The decline of guitar-driven indie-rock has been a heated discussion in the past few years and while I’m of the impression that revivals will never die, it certainly felt like 2016 was lacking in music that straight-up rocked. Well, with the exception of Mitski. Her breakthrough record Puberty 2 is a full out assault lead by guitar. Her vocals are pristine, powerful, and delivers her message with a clear vision. Her masterfully crafted lyrics only help to surmise her beautiful songs that fall somewhere between the acoustic emo ballads of Saves the Day (“My Body’s Made of Crushed Little Stars”) and the epic post-grunge alt-rock swells of the Smashing Pumpkins (“Your Best American Girl”). She takes no prisoners on this record, leaves her heart on her sleeve, and in just over thirty minutes delivers the best rock performance of the year. She’s a master of her craft and she sings in anguish over her struggles to fit in in her mid to late-twenties as she searches for her footing and identity in the world. It’s a compelling record that explores the feelings of life in the five years post-graduation where many are finding their true selves and exceeding in the workplace while others are still feeling lost and hopeless. Mitski understands these pains and puts them under the microscope for us all to explore. Sure, for many, they’ve yet to encounter these feelings or these years have already come and gone, but for others, it hits the nail on the head. This feeling that my life should be more put together than it is, the feeling that I need to have it all figured out by now, this feeling that is known as Puberty 2. Shortly after Heath Ledger passed away, the talk of just how good his performance of the Joker was began to surface. The film was released in the months following his death and Ledger would go on to posthumously win the Oscar for his role. Of course the question rose, would this have been the case had he not passed away just prior to the film’s release? Bowie’s Blackstar came just days before the icon’s passing and it’s hard to not wonder the same. If Bowie were still with us, would this album still feel so brilliant? Yes. I listened to record in full for the first time on Sunday January 10. On Monday, I woke up to learn of Bowie’s passing and life hasn’t felt the same ever since. In the weeks leading up to the album, I watched his new videos in amazement. Not only was I blown away by his ability to still be such a creative genius, but I was actually excited for this new record. I only listened to this album once while David was still on this planet, but the connections felt were riveting. He incorporated his timeless sound with modern feelings. His use of electronic textures made me think that this could be a Radiohead record, it feels just as in touch with standard indie-rock as it does with classic Bowie. Over the year, as the record revealed itself, it became more and more clear just how beautiful this album is and how much of himself Bowie put into the mix. Bowie has always been viewed as cosmic being, an alien, and a true artist in every sense of the word. In his final act, the Man Who Fell to Earth delivered not his best work, but another piece of genius in an already expansive catalogue. There will never be another David Bowie and Blackstar confirms just that. With a final breath, Bowie continued to push boundaries, explore new sounds, and give himself over to the music. “I know something is very wrong / The post returns for prodigal songs” he begins on the album’s final song. Again, preparing us for the worst and still giving us his all. He may be gone, but his music will be with us forever. 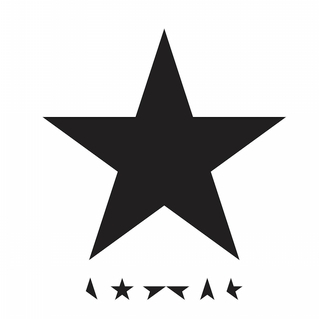 Lucky for us, Blackstar is another wonderful addition from a man who gave us everything and more. In 2013, Solange dropped out of a tour that found her opening for Vampire Weekend at venues like Barclays Center and other various arenas. She said she was trying to get her album over the line and needed to stay focused on the task at hand. As we entered the back half of 2016, we were still as clueless at the fate of this record as we were three long years ago. 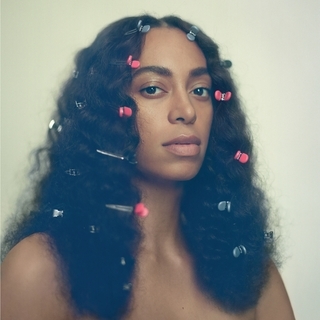 When Solange dropped A Seat At The Table with no warning, it still felt like a surprise, but given the attitude towards that style of release, it hardly felt exciting. Yet unlike some other pop superstars running the world, Solange actually co-arranged, co-wrote, and co-produced every track on the album. 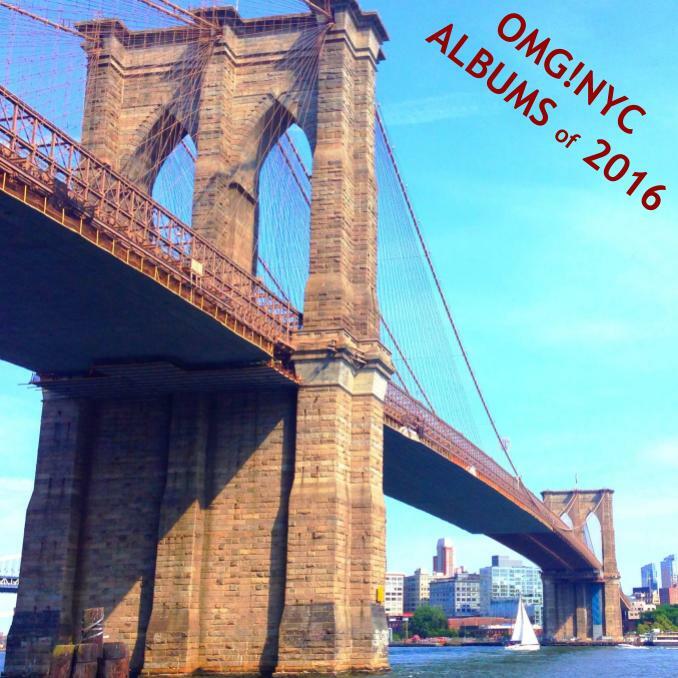 On record, her musical tastes shine through with beaming light. She’s found her footing and draws on inspiration from jazz, R&B, and indie-rock and this is her statement on who she is, where she’s from, and everything she represents. She takes pages from the books of others, but this is clearly her vision and her voice. There is no mistaking this music for anyone else. It’s a commentary on our broken system, the values of culture, and the disconnection between so many of us. Solange has risen out of the shadows, placed herself on a soapbox, and doesn’t look to be moving off it any time soon. Even when it seemed like the odds were stacked to high against her, Solange rose. “Fall in your ways so you can sleep at night / Fall in your ways, so you can wake up and rise” she proclaims on the record’s opening track and sets forth the motion for the rest of the album. It’s a cathartic message that needs to be heard perhaps more so now than ever before. It’s a reminder to wake up each day and fight for what is right. We got it from here… Thank you 4 your Service is the record that no one could have expected and one that we probably don’t deserve. 18 years after the last Tribe record, the pioneering hip-hop visionaries delivered their swan song after losing one of their founding brothers and it’s one of the best things they’ve ever done. Sure, My Bloody Valentine and Portishead delivered sensational comeback records, but in doing so they breathed life back into shoegaze and trip-hop. Hip-hop hasn’t needed a revival ever and the fact that they were not only to get this album out the door, but have it be on par with their other classics is something no one could’ve predicted. 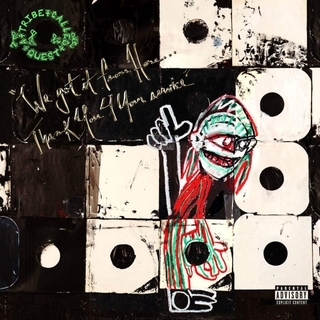 The album is a triumph, collecting the godfathers of hip-hop and getting them back on their A-game and bringing their friends in for one last run towards glory. Busta Rhymes hasn’t sounded this great in years, Andre 3000 again shows his face, and Kendrick does what he does best, delivers greatness but doesn’t show-up the hosts. Even Jack White feels at home and adds to the dominance and professionalism on display. Tribe records always bumped up the mood with their jazzy inspirations and funky fresh melodies. Thank you 4 you Service continues all of their brilliance without sounding dated or like this is merely a cash grab. “Dis Generation” finds the group swapping verses like they’re still kids on the block and passes the torch onto the new leaders of the flow. “Space Program” and “We The People” call out the racism that is ever present in society and “Lost Somebody” is a heartfelt tribute to the untimely deaths that seemed to plague us all this year. In many ways, it feels like we don’t deserve a record this great. Tribe had nothing to prove and had already given us so much in their prime, here they’ve reminded everyone at where hip-hop can take us and now they’re ready to watch the new gatekeepers rise to the challenge. I’ll be the first to admit that I didn’t love Channel Orange. I liked the singles and enjoyed the record, but it didn’t hit me in the same way as everyone else. Over the past several years, my interest in Frank wasn’t at a fever pitch so when delay after delay occurred, I never really cared. When Endless finally dropped, I felt a bit vindicated. This was what we waited so long to hear? Endless is good, but again it was nothing great. 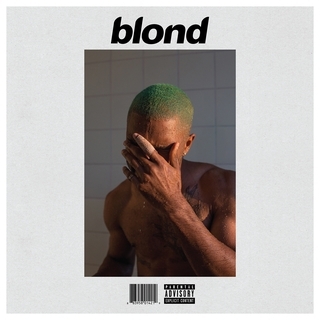 When Blonde arrived a few days later I still wasn’t fully convinced that Frank had outdone himself. Then I listened to Blonde almost every day for a month straight as the album seeped into my mind and slowly revealed itself. Blonde was not the record I thought would take over my summer and find its way burrowing into my head. On paper, the record doesn’t make too much sense either. It’s an expansive art-heavy think piece and there isn’t a single chorus anywhere on the album. Ideas seem to drift into the mix and hooks grab you, but never stare you down and look you straight into the eye. Ideas seem to shift out of focus just as fast as they come into view. It’s deeply reflective and a beautiful comment on not only Frank, but the state of our country and many of our own lives. Even though the ideas seem scattered and at times like Frank doesn’t come full circle on tracks, it still feels like a more complete picture than Kanye’s sprawling Life of Pablo. His inspirations run wild on this album and the fact that he got Andre 3000 to deliver his most memorable verse in over a decade is reason enough to believe in the magic of Frank Ocean. Chance’s biggest and best verse of not only this year, but his career doesn’t appear on Coloring Book. No, Chance’s best moment of 2016 is without question his larger than life verse on Kanye West’s “Ultralight Beam”. It’s a stop you in your tracks verse. A verse that steals the attention from the biggest rapper in the game. A verse that led everyone to anticipate Coloring Book before we even knew Coloring Book was a thing. When the mixtape dropped this past spring, it took Chance from mid-level aspiring rapper playing mid-day sets at festivals to the next greatest rapper topping posters and playing headlining slots. 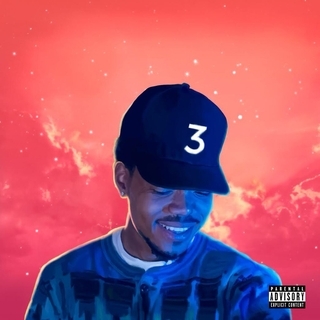 Coloring Book is Chance’s moment. The time when he managed to get all eyes on him. A platform for him to preach his gospel and wondrous story telling. Here, he teaches us about growing up in Chicago, becoming a dad, and discovering himself as a person while remaining an unsigned superstar and Kanye’s best prodigy. He somehow made an album that takes us on the ultimate joy ride, “No Problems”, explains his path towards adulthood, “Same Drugs”, and confirms his faith in God, “Blessings”. Chance hasn’t found himself on Coloring Book, no, it’s clear he’s known himself for quite some time. Coloring Book rather is an expedition in joy. A record that reconfirms just how great it is to be alive. The record’s cover sees a grin on Chance’s face and it’s impossible to think that grin doesn’t stretch for miles on each track. Everything Chance spits is fire, but he does it with the utmost pleasure. He is excited to be here and he wants us all to know it. In a year where everything felt rather impossible, Chance was the constant reminder that the Phoenix will rise from the ashes. This record might not be a good dream, but it certainly is everything. For a minute, it seemed that the legacy of Radiohead may have faded. Their 2011 record King of Limbs was the closest they’ve come to a let down and five years later, with little traction, it seemed that perhaps the kings of indie rock may be ready to retire their crowns. On Christmas of 2015, the band shared their unofficial track for last year’s James Bond film and it appeared to be a return to form. A follow-up to “Pyramid Song” that many longed for, but never truly expected. In the spring they slowly rolled back their social media presence and delivered “Burn the Witch”, a track that ignited the feelings felt when “15 Step” kicked off In Rainbows back in 2007. Excitement grew. 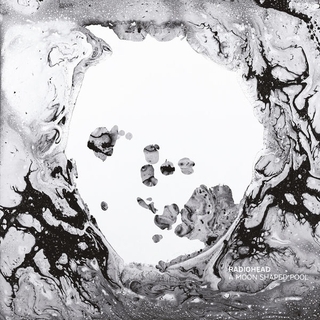 A Moon Shaped Pool is Radiohead’s most relaxed and mature record to date. A personal statement that sees the band aging with grace, not trying to recapture their past and recreate their former greatness. It’s heavy on the piano and the strings and Yorke’s voice seems to be as pure as ever. These men have changed from their feverish days of "Paranoid Android" and have turned themselves inside out, focusing on small intricate details that slowly reveal themselves instead of a blatant and outright extreme charge of action. They concluded the record with the long sought for “True Love Waits”, a song that has been in existence for about twenty years that never found its way onto an album. Here, the tracks swirls through a piano instead of the expected guitar and elegantly floats into the ether. Fans of Radiohead are as loyal as they come and it felt that by including this track, the band has acknowledged and thanked their fans for years of dedication. Radiohead never take the conventional route and that is part of their beauty. Here, they’ve allowed us a closer glimpse into their world and rewarded our patience with one of their most satisfying records in a line of true classics. Please gentlemen, don’t ever leave. Oh Bey. 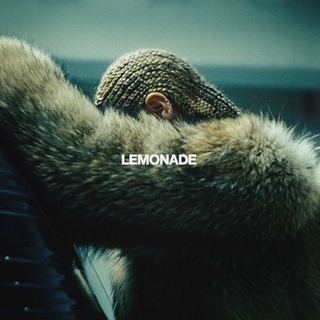 Perhaps the most critically acclaimed record of the year, as it should be, Beyonce’s Lemonade is a tour-de-force that no one saw coming. As the rumors flew surrounding her and Jay’s private affairs, Beyonce took the time to reflect and put forth all of her emotions to let the world know that yes, she too, feels pain. It’s the record that the world needed as it took her down to a human level, expressed her grief, her struggles, her anger, and ultimately her love. On this record, she called on some big names to help deliver her message, but make no mistake, Queen Bey is in the driver seat and refuses to relinquish control. For the first time, she openly discusses her marital issues and allows the world to know that it’s OK to feel pain. It’s OK to be sad. But it’s important to stand up and take action and remember that love is always out there in the distance. “Freedom” is Bey at her most political and her angriest moment on record. She’s not one to speak publicly, but here she lets her music say everything. She dropped “Formation” seemingly out of nowhere last February, but a day later when she performed at the Super Bowl, it was clear that this was a call to action heard round the world. Whether it’s domestic violence or police brutality, yes, people will struggle and people will face their challenges, but getting on your feet and letting the opposition know that you’re not afraid and not backing down is perhaps her most powerful message on Lemonade. It’s an album that celebrates Beyonce, her life and her heritage. She has given us a peak into her world, but in return demands people take action. If you’re with her for her darkest moments, you need to hurry on up and get in formation too. She can’t fight the good fight alone, but she’ll lead the masses to glory. Man, I love Kanye. I love the artist, entertainer, designer, and performer. As a person, well that has become an increasing challenge. The Life of Pablo is by no means my favorite Kanye West record and I actually don’t think it’s his best or second best work to date, that still goes to Yeezus and My Beautiful Dark Twisted Fantasy. 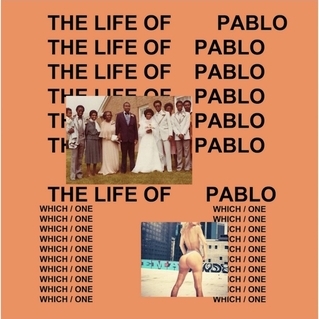 However, it is hard for me to think of an album that better reflects the tumultuous year of 2016 than Pablo. As he scrambled to get it over the finish line back in February, it seemed like a rushed attempt at greatness. A college final that was completed just hours before submission after pulling numerous all-nighters and has moments of pure genius right next to others that raise serious questions. In the events that followed, his stage meltdowns, his hospitalization, and his recent meeting with the President-elect, it has become more and more clear that Kanye has reached a breaking point. His title as the biggest rapper in the world has once again caught up with him and his emotions and actions are running wild. Still, it’s hard to ignore those moments of genius that made the album a standout in such appalling times. From the opening “Ultralight Beam”, one of his best songs to date, through the perhaps his most real and honest moments on “Real Friends”, the infamous lines of “Famous” (and the video it spawned), the Kendrick verse on “No More Parties in LA”, and the brilliance that was the Saint Pablo tour. Yeah, Kanye has his (major) flaws, but it’s hard to think of a record as discussed and as controversial as The Life of Pablo. It seemed only fitting that it helped start off the chaos of the year. A mad dash to try and make sense of the insanity in which it was created. It might not be the album we had wanted or anticipated from Kanye West, but it’s without question the album of the year that 2016 deserves.